Shale shaker is the first stage solids control equipment in drilling rig mud system. It is the necessary equipment for mud solids control. According to the motion type generated by vibrating motor, there are linear motion shale shaker and balanced elliptical motion shale shaker. 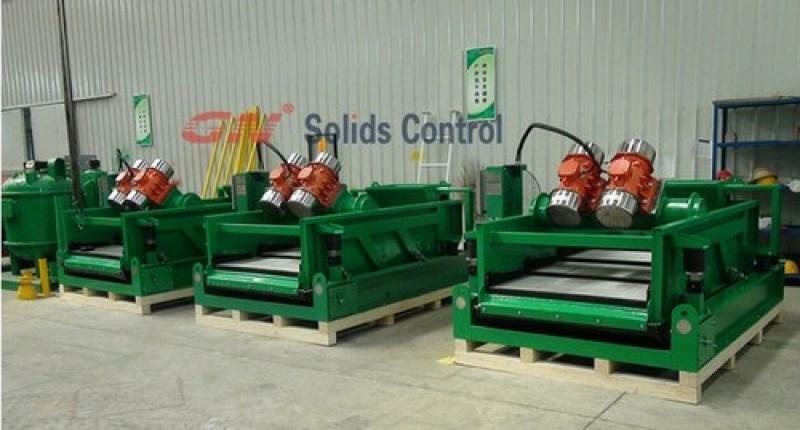 While linear motion shale shaker is more widely used as it can suits a wider range application and it is workable even with big handling capacity. Rubber sealing is an essential part for shale shaker performance. It is the rubber used between shale shaker deck and shale shaker screen. 1) The rubber can seal the shaker deck and shaker screen better. It can prevent the shale shaker leakage. 2) The rubber sealing can extend shaker screen lifetime and protection shaker deck from worn out. The shaker deck and shaker screen frame are both made from metal. If there is no rubber between them, the metal touched each other directly and vibrating under high G force. It will generate big noise and the screen and shaker deck will be damaged soon. 2) Suitable shaker deck angle can enable the mud move forward shaker deck more fluently and get a longer lifetime of the shaker screen. 3) Suitable G force. If the G force is too small. The mud cannot separate well and then overflowed. It is a waste. If the G force too big, one side, it may damage the drill mud contend, another side, big G force will shorten shaker screen lifetime.